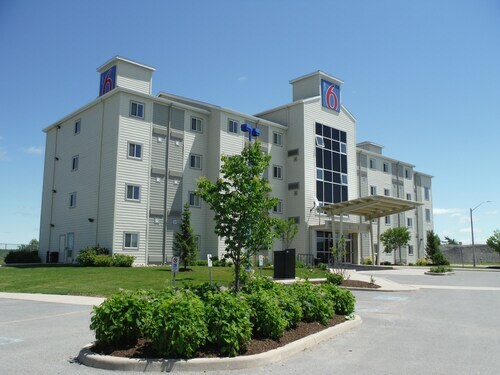 Located in Wolfe Island, this beachfront resort is next to a golf course, 3 mi (4.9 km) from Kingston Waterfront, and within 6 mi (10 km) of Garrison Golf and Curling Club and Kingston City Park. Lake Ontario and Queen's University are also within 6 mi (10 km). 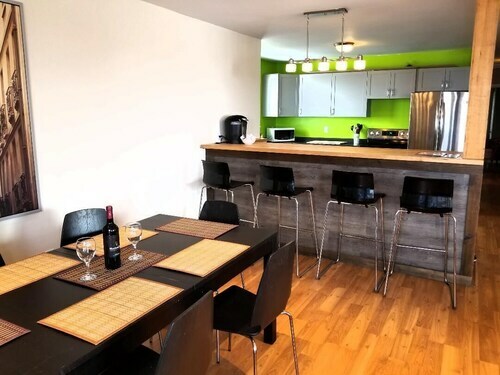 Situated in Leeds and the Thousand Islands, this property is 1.9 mi (3 km) from Smuggler's Glen Golf Course and within 6 mi (10 km) of 1000 Islands Tower and Thousand Islands Bridge. 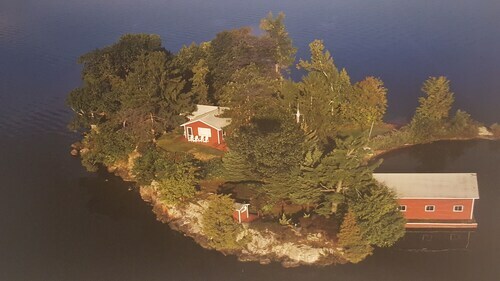 St. Lawrence Islands National Park and OLG Casino Thousand Islands are also within 9 mi (15 km). 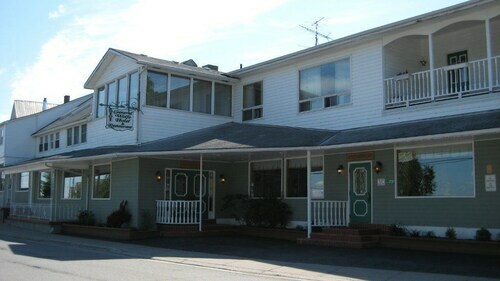 Situated on a river, this apartment building is close to Fort Henry, Kingston Waterfront, and Royal Military College Museum. 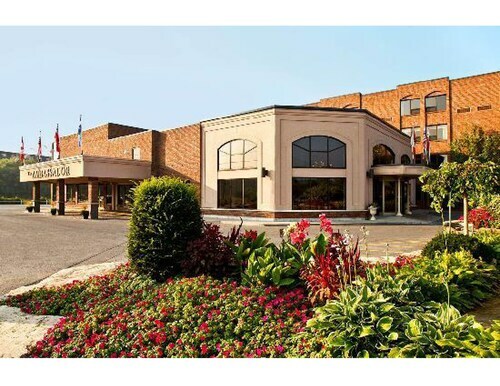 Local attractions also include Marine Museum of the Great Lakes and Pump House Steam Museum. 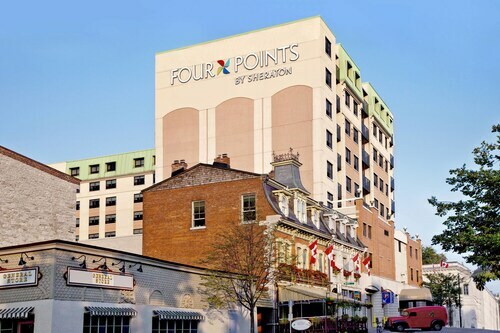 Located in the heart of Kingston, this hotel is within a 5-minute walk of Kingston Waterfront and Martello Alley. Queen's University and Bellevue House National Historic Site are also within 2 mi (3 km). 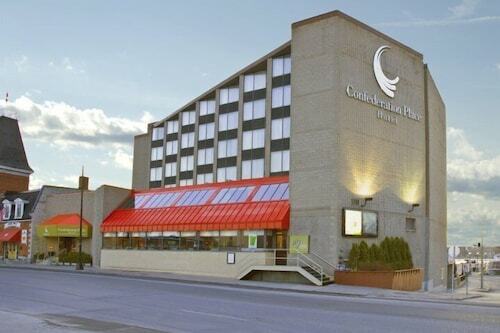 Located in the heart of Kingston, this hotel is steps from Kingston City Hall and Kingston Waterfront. Queen's University and Leon's Centre are also within 1 mi (2 km). 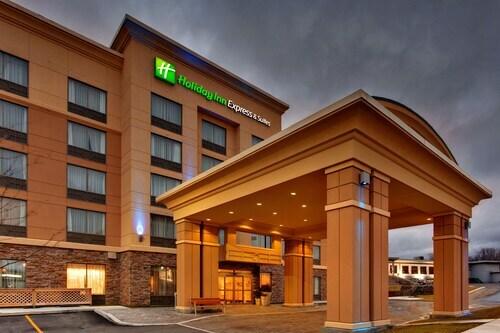 Situated in Kingston, this eco-friendly hotel is 0.8 mi (1.3 km) from Kingston Family Funworld and within 3 mi (5 km) of Little Cataraqui Creek Conservation Area and Grand Theatre. Leon's Centre and Fort Henry are also within 6 mi (10 km).